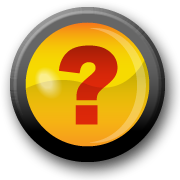 Still Have Doubts About Industry and Governance? How Can We Lay Them to Rest? Why aren’t we being protected from pollution, radiation and junk or GMO foods? Why is there still a “controversy” mentioned in any mainstream media article about MCS/ES? Why are corporations getting their way so often despite causing harm? Here are more articles that add to what I shared in Are There Any Doubts? SUNDAY: For two years, public servant Patricia Aho has overseen Maine’s environmental protection. But whom does she really serve? Our seven-month investigation points to her former corporate clients. MONDAY: Led by a former chemical industry lobbyist, the Maine DEP has stalled efforts to regulate substances that are potentially harmful to children and to the development of unborn fetuses. TUESDAY: So-called “product stewardship” regulations – even recycling efforts with industry and bipartisan support – find staunch resistance at the Maine DEP, where a former corporate lobbyist has taken the helm. • Frozen the Kid Safe Products Act – a 2008 law to protect fetuses, babies and children from potentially damaging chemicals – by blocking efforts to bring more chemicals under the law’s jurisdiction, chemicals produced by Aho’s former lobbying clients. • Reduced enforcement actions by 49 percent against large developers and landowners. Aho had unsuccessfully fought to weaken many of the laws at issue as the longtime lobbyist of the Maine Real Estate and Development Association. • Fought to roll back recycling programs that are strongly opposed by former clients of Aho and a still-active lobbyist, Ann Robinson, the governor’s regulatory reform adviser. • Oversaw a purge of information from the DEP’s website and a clampdown on its personnel, restricting their ability to communicate relevant information to lawmakers, the public, policy staff and one another. Whose interests is Maine’s DEP commissioner serving? “A seven-month investigation of the DEP by the Portland Press Herald/Maine Sunday Telegram found that the department staff is under pressure not to vigorously implement or enforce certain laws opposed by the commissioner’s former lobbying clients. Documents and interviews with current and former staff members reveal a pattern of deference to industrial interests once represented by Aho when she worked for Pierce Atwood, the state’s largest law and lobbying firm, including producers of chemicals and products likely to run afoul of the new chemical law. ‘Product stewardship’ regulations – even those with industry and bipartisan support – meet staunch resistance from, among others, a commissioner with former ties to corporate interests. Note: There’s a lot of reading if you follow all the links in this post, much of it will be infuriating, depressing, shocking and saddening, but please do take the time to read the full articles available at the links (above and below). 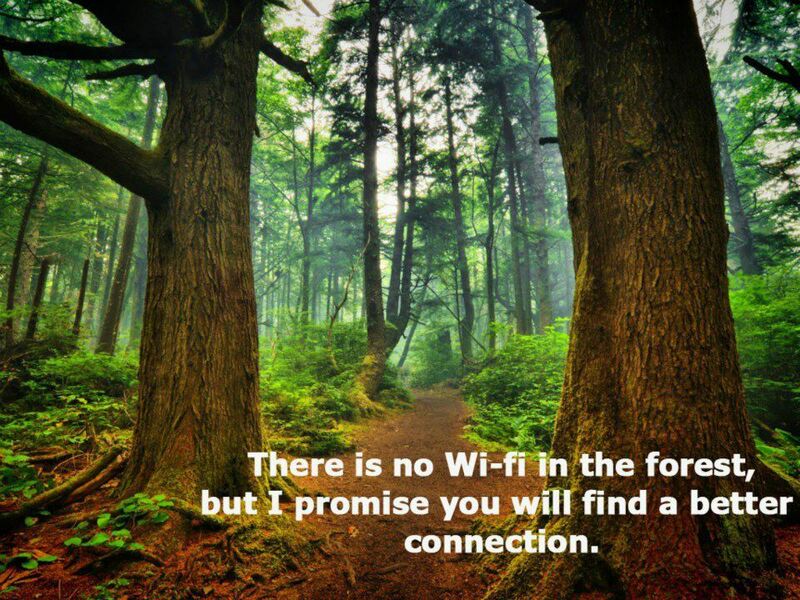 Perhaps go for long walks in nature or have some Harry Potter or other lighter reading to mix it up with. Like they say, knowledge is power. If we don’t know what they are up to, we can’t stop them when they need to be stopped. When we are well informed and have no doubts, instead of becoming paralyzed and helpless, we become free to act for what is right! Syngenta’s campaign to protect atrazine, discredit critics. “To protect profits threatened by a lawsuit over its controversial herbicide atrazine, Syngenta Crop Protection launched an aggressive multi-million dollar campaign that included hiring a detective agency to investigate scientists on a federal advisory panel, looking into the personal life of a judge and commissioning a psychological profile of a leading scientist critical of atrazine. The Switzerland-based pesticide manufacturer also routinely paid “third-party allies” to appear to be independent supporters, and kept a list of 130 people and groups it could recruit as experts without disclosing ties to the company. 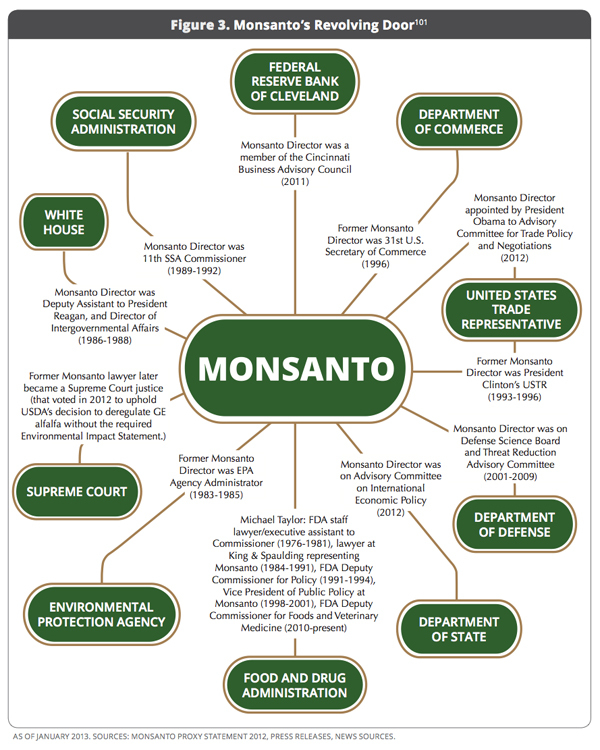 Not to leave Monsanto out, here’s a show of how many people in office at the White House have also worked for Monsanto, which helps explain why RoundUp (among other things) and harmful GMO “foods” are being sold to everyone without our knowledge or consent. There’s so much more, too much more like this… So many industry insiders find their ways into government offices where they write the laws and policies that support corporate interests instead of our health and the environment we depend on for life. This is formidable opposition. Market power readily translates into political power. Few governments prioritize health over big business. I am deeply concerned by two recent trends. The first relates to trade agreements. Governments introducing measures to protect the health of their citizens are being taken to court, and challenged in litigation. The second is efforts by industry to shape the public health policies and strategies that affect their products. When industry is involved in policy-making, rest assured that the most effective control measures will be downplayed or left out entirely. This, too, is well documented, and dangerous. In the view of WHO, the formulation of health policies must be protected from distortion by commercial or vested interests. If you have other helpful resources for inspiring and empowering us to make the changes we need for a safer, healthier future for all, please share them here too! This entry was posted in Chemicals, Child Health, Environment, Environmental Health, Policy, Public Health and tagged atrazine, change, flame retardants, henhouse, industry government ties, MCS, MCS/ES, politics, science, WHO. Bookmark the permalink.